Which champions are on the rise in LoL's latest update? League of Legends' latest patch is now live and with it comes the usual host of balance changes and bug fixes. Long-term players may notice that patch 6.23 is significantly smaller than the preseason patch, but Riot wants to give the larger changes time to settle before they pull out the nerf gun. However, there are significant updates to Shyvana, as well as changes to a few mid laners and the release of League’s new ultimate skin, Elementalist Lux. Discover the biggest of these changes below. Ever since patch 6.22 hit the Rift players have noticed how lacklustre Akali is in comparison to the other assassins. Riot has given her booster-shot to her scalings to keep her damage threatening and bolster her overall impact. Twin Disciples initial strike's healing AP ratio has increased to 45% from 30%, while the second auto attack from her passive has had its AP ratio increased to 65% from 50%. Her passive was already pretty decent, but now Akali will have even more added damage to inflict on her foes. Twilight Shroud (W) has also been buffed by reducing the energy cost by 20 at every single rank, giving the Fist of the Shadow even more opportunities to blink around the map. Lastly, Crescent Slash’s (E) AP ratio and AD ratio have both been increased by 10%. These buffs aim to improve Akali’s early laning phase as she can use Twilight Shroud without exhausting all her energy, while Twin Disciples and Crescent Slash give her better scaling into the late game. Anivia’s always made a killing off her Glacial Storm and Frostbite combo, but Riot feels this instant, unavoidable burst overshadows the success Anivia sees from trapping foes in Glacial Storm with well-placed walls and stuns. The following buffs and nerfs aim to make Anivia work harder for her damage payoff, but also give her added opportunities drop more icy walls. Crystallize (W) has had its cooldown decreased by a massive eight seconds and is one of the best non-ultimate abilities in the game. This cooldown will give Anivia even more opportunities to impact potential teamfights and cut off enemy champions. However, the double damage effect from Frostbite now only triggers if the target was hit by Flash Frost (Q) or a fully-formed Glacial Storm (R). The cooldown on Frostbite has been lowered by four seconds at all ranks, but the fully-formed ultimate may sound like a pretty big nerf. However, these changes aren’t as bad as they seem as Glacial Storm now becomes fully-formed within 1.5 seconds as opposed to 3 seconds. To make up for time decrease the base damage has been lowered to 40/60/80 (+12.5% AP) from 80/120/160 (+25% AP). The fully formed storm now deals 300% damage which is good, but you have to take into account that the base damage of the ultimate has been halved. These are pretty decent changes to Anivia and it will be interesting to see how they influence her performance in the weeks to come. The Prophet of the Void has received a mini rework to his Void Swarm (W). The mana cost has been lowered to 40%, but it now works on a recharge system. 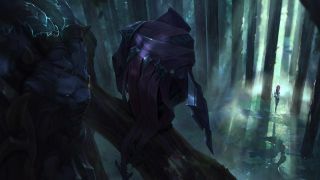 When a Voidling attacks a champion or large monster, or assists in killing a unit, Malzahar will spawn an additional Voidling with the same time remaining. Void Swarm no longer replicates off of minions and indicates that Riot is trying to reign in his laning phase. Additionally, the Voidlings only have three health and take damage similarly to Zyra's plants. Voidling physical damage has been increased to 30/35/40/45/50 + 40% of bonus AD, from 30/32.5/35/37.5/40% of total AD, while the AP ratio has also increased to 20% from 10%. The critters of the Void no longer prefer to attack a target that has been affected by Malefic Visions (E) or Nether Grasp (R). Additionally, whenever three or more Voidlings are active they no longer get a 50% attack speed bonus or deal 300% bonus damage to lane minions below 20% HP. Now the Voidlings only deal 300% bonus damage to minions affected by Malefic Visions and only gain bonus movement speed toward priority targets if they’re within 600 units of Malzahar. The changes seem to greatly impact his role in lane, but jungling with the Prophet of the Void should be pretty decent. The biggest change in patch 6.23 goes to the Half-Dragon, Shyvana. Her new passive is called Fury of the Dragonborn which allows her to deal 10% more damage to elemental drakes (including Elder Dragon). For each elemental drake Shyvana or her allies defeat, she gains an extra five armour and magic resist which stacks cumulatively. Burnout (W) now grows in size whenever you are in dragon form and no longer leaves a flame trail behind Shyvana. This makes Burnout even more potent in teamfights as you can effectively hit more people within its radius. Using Flame Breath (E) in dragon form will unleash a fireball that deals magic damage to all enemies it passes through and marks them for five seconds, leaving behind a flame zone that damages enemies. Lastly, Dragon’s Descent will now allow Shyvana to grow in size with the rank of her ultimate and grants her bonus health, but the damage has been lowered to compensate. However, the biggest change is to her ultimate as it can no longer be interrupted mid-flight and stops her from being countered. For more on LoL's recent assassin overhaul, click here. Blade of the Ruined King’s on-hit damage has been increased to 8% of the target’s current health up from 6%. This is a simple, yet important change as Blade of the Ruined King has been out of the spotlight for a while. It’s hoped that this buff will improve Blade of the Ruined King’s popularity, especially as tanks are trying to counter the recently reworked assassins. Guinsoo's Rageblade now has a new effect added to it that grants 25% attack speed. It’s nothing crazy, but this item has been left out of the spotlight for quite some time and Riot want the Rageblade to feel more useful when you complete it. It’s hoped the added 25% attack speed will increase the item's popularity now that it can stack more quickly. Elementalist Lux has finally been released, but the latest ultimate-tier skin will cost you a whopping 3250 RP. The skin drastically reworks Lux's cosmetics and allows you to swap between Elementalist Lux's different forms in-game. Lux gains elemental power passively and by damaging enemy champions which allows her to choose another form. You start every game in Light form, and can unlock the option to add a new element twice. You can choose between Fire, Water, Air and Nature. Once the base elements are combined with another element, the combination unlocks one completely new element: Storm, Ice, Mystic, Magma and Dark. The 10 different elemental forms will give players a refreshing approach to each game and is great addition for those who main the Lady of Luminosity.